There are some courses I really look forward to playing again. Not because they are world beaters, or because I know my Twitter feed will light up at the mention of them, but because I know I will have a great game and a happy day there. The Golf Club de Lyon is such a place. When I lived in Geneva, we would often drive the couple of hours to the 36 hole complex, 30km east of Lyon. The course is found down a small road in the village of Villette d'Anthon - turn left at the only traffic lights in town. There is plenty to keep you occupied when you get to the club. There is an 8 hole practice course and a good-sized practice range, as well as a chipping area and putting green. They have put plenty of thought into how to make this a place to spend plenty of time working on your game. The clubhouse has a very nice restaurant which opens early and closes late and the staff are always very pleasant and happy to accommodate - not the French stereotype that some may have in mind! There are two 18 hole courses to keep you occupied. Les Brocards is the second course, and is probably a solid 15 on the scoring scale. This was actually the original course in Lyons - host to the 1979 French Open and then the 'Open de Lyon' on the European Tour from 1992-94. Even back then, the winning scores were more than 20 under par and Les Brocards couldn't cope with how technology has moved on. Having said that, it is a course where you have to be on your game as you need to plot your away around a lot of doglegs and there is good variety in hole lengths. In 1991, the Golf Club de Lyon open the second course, but one designed to be known as the premier course on the property - Les Sangliers. Sangliers is the French for 'wild boar' and this land is their stomping ground - greenkeepers in the area have a challenge keeping them away from the course as they can cause real damage to the turf. As to the course itself, it is important to say that water comes into play on half of the holes - so do bring plenty of balls. There are a few carries from the tee, but on many holes the water runs parallel to the fairway and in front of the green, leading to several perilous approach shots. The first few holes break you in relatively gently but you get a taste for things to come at the par 5 5th, where anything short and right will get you wet. This is just a warm-up for the 6th where anything short at all leaves you in the water. After returning to the clubhouse after 9, the back 9 is probably the more wooded of the two, with some tighter holes but still water in play at times, no more spectacularly than at the par 3 14th. The pros may not take any notice of the water from the tee but, believe me, the mid-handicap amateur does! The course finishes with a short par 5 which can lead to drama. Reachable in 2 for many but with water to the right of the green it is a real risk/reward hole. You get the impression that this is a club where the management really care about the quality of the experience. 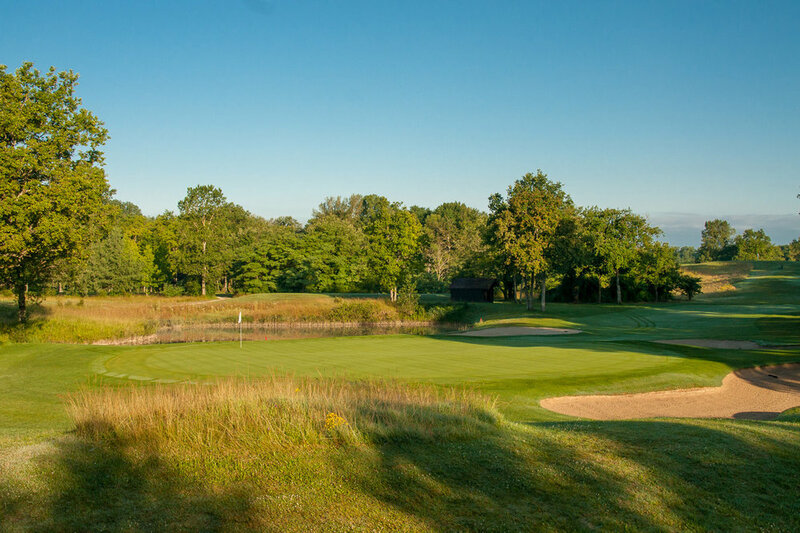 The website is excellent, with good walkthroughs of the holes (in English and French); they have made numerous changes to the course over the years increasing the sizes of some of the greens and you can't help but think this is a course that is going to keep getting better. The Sangliers isn't an easy course by any stretch of the imagination but it is always in good condition with a good test and good service. C'est bon. Visitors are welcome 7 days a week, not always the case in these parts, but of course there are some restrictions around members' competitions and it is harder to get a time at weekends. The usual green fee is €49 on Mondays and Tuesday, rising to €70 for Wednesday, Thursday, Friday and then €85 at the weekend. However, both in high summer (end July - end August) and low winter (November - February) the fee is €49, 7 days a week. There is no online booking, but an email or phone call will get you sorted. And no need to worry about any language barrier as they have some English speaking staff who will be able to help you out without any problems. While there is some other golf around Lyon there is nothing of the same quality. If you are looking to play exclusively in the area then have a look at where2golf.com who have some ideas. My advice though would be to combine a trip to Lyon with Geneva which is less than a couple of hours to the east on a dramatic road carved into the rocks. Geneva is a town with lots going on and whether you are looking for a quiet meal or full on nightclub you will get what you want. 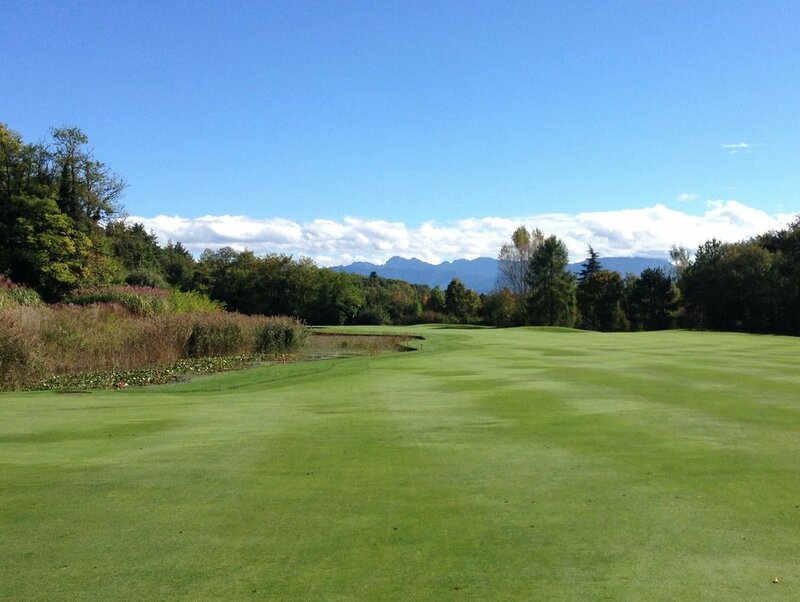 When it comes to golf the best courses are probably Domaine Imperial and the Golf Club de Geneve but Maison Blanche and Evian can both be added to a trip without any regrets.